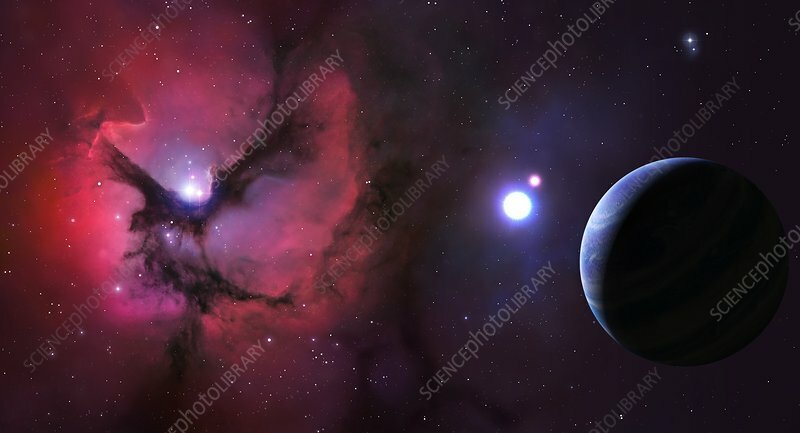 Artwork of the Trifid Nebula seen from a nearby planetary system. The Trifid is a cloud of gas and dust lying some 3000 light years away in the constellation of Sagittarius. The gas is mostly hydrogen, which glows red because it is excited by ultraviolet radiation from hot young stars lying within it.